FusionServer CH226 V3 Compute Node. 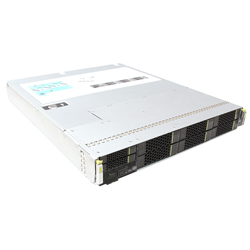 This compute node can be used for Big Data analysis, server SAN, videos, searches, and the Virtual Desktop Infrastructure (VDI) — all processing applications that require large storage capacity and high computing performance. 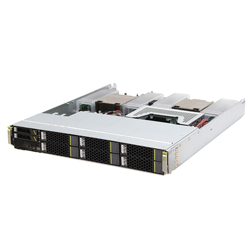 It forms part of the CH100 and CH200 families of compute nodes, which are fully compatible with Huawei’s E9000 Blade Server. 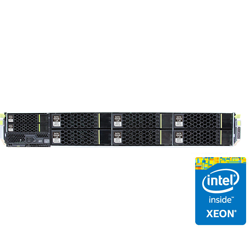 Intel® Xeon® E5-2600 v3 processors to deliver up to 2 x eighteen-core, 2.3 GHz of computing capacity. 24 DDR4 DIMMs. Supports 6 x 3.5-inch SAS/SATA HDDs and 2 x 2.5-inch SAS/SATA HDDs or SSDs, which provide the highest storage capacity on a single node. Reduces O&M costs by supporting remote deployment and fault location technologies such as SOL, KVM over IP, virtual DVD-ROM drive, WebUI and IPMI 2.0-compliant. Nodes include efficient, secure power consumption analysis and control capabilities, including power-off mode, and Intel® NM 3.0 compliance. PCIe Expansion • 2 PCIe x16 mezz modules. • 1 standard PCIe x8 full-height, half-length card.